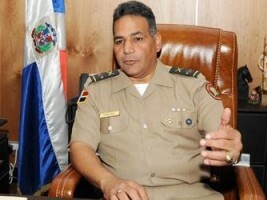 Dominican Republic immigration director, Major General Rubén Darío Paulino Sem says the deportations will happen. News Americas, SANTO DOMINGO, DR, Tues. July 7, 2015: The director of the Dominican Republic Immigration Agency says undocumented foreigners who have not registered for the country’s legalization program could be deported as soon as today, Tuesday, July 7th. Ruben Dario Paulino’s announcement Monday came as he revealed that nearly 37,000 undocumented Haitian immigrants have so far voluntarily left the Dominican Republic since June 18th, one day after the deadline to apply for the government’s program to regularize foreigners expired. Of that number, 8,261 are minors. “We will continue assisting with land and freight transport for illegal aliens in the country who decide to return to their homeland,” Paulino said in a statement. For those who apply for voluntary return the program provides trucks to transport their furniture and other belongings as well as the necessary contacts with Haitian consular and diplomatic officials, he added. His comments come as Dominican Republic Foreign minister Andrés Navarro, who met with Holy See Secretary of State Pietro Parolin, said over 288,000 undocumented foreigners mostly Haitians living in the country have applied for the DR government’s legalization program. The DR government’s disclosure comes as several campaigns have been mounting in the US to urge against vacationing in the DR. Joining in the call for a tourism boycott is Boston state Sen. Linda Dorcena Forry, a Haitian-American. Haiti takes up a third of the island of Hispaniola. The Dominican Republic takes up the rest. And in Boston, Haitians and Dominicans are two of the city’s largest immigrant communities. CARICOM Heads of Government, at their recent summit in Barbados, called the situation in the DR, “grave” and insisted it is “an unresolved human rights crisis” that is not getting the attention it deserved from the major countries of the global community. They pointed to the potential of the situation to mushroom into a major humanitarian crisis for Haiti and the wider Caribbean region. Last week Foreign Minister Andrés Navarro; the OAS Secretary General of the OAS, Luis Almagro addressed the Permanent Council of the Organization of American States (OAS) even as DR President Danielo Medino told the Summit of the Heads of State in Guatemala that his government has certified the nationality of about 55,000 people who had spent eight years in bureaucratic limbo because their citizenship was in doubt. The Minister of Foreign Affairs of Haiti, Lener Renauld, will address the Permanent Council of the Organization of American States (OAS) on Wednesday, July 8, 2015, at 11:00 EDT (15:00 GMT), at a special meeting to be held in the Simón Bolívar Room of the institution’s headquarters in Washington, D.C., to report on developments in the situation between the Dominican Republic and Haiti.